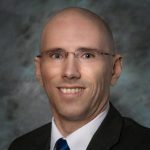 Danny Fink, CPA — founder and owner of Premier Tax Consulting, LLC — is a certified public accountant, certified tax coach, and certified QuickBooks Online Proadvisor. His services include bookkeeping, accounting, tax services, small business consulting, QuickBooks troubleshooting, and more. For package inclusions and other available plans, click here. Work For Premier Tax Consulting, LLC? Claim This Page.